LCCT is a family, a support system that thrives off one another’s accomplishments. If you are looking for a home, then you are welcomed onto our mats. This is a growing family, with hundreds of people practicing LCCT techniques in 17 academies across the country. Our coach, Luiz Claudio travels to these academies often holding seminars, teaching new techniques, and belt testing. If you are looking to better your game or find a BJJ family that is not just a cookie cutter corporation, then you have come to the right place. Here at LCCT, we value everyone of all walks of life. Once you join, you become a member of our family. Someone will always have your back no matter what.At LCCT, everyone works together so we can all grow as a team. We offer a wide array of classes for both kids and adults. Training with us expands your world of skill beyond that of your traditional gym. Belts are not awarded, they are earned and we work hard so that you can reach further than you can imagine. We are proud to have trained and worked with many professional fighters such as Ben Rothwell, Juliana Pena, Marina Marosa, Ricardo Lamas and many others. Training with us gives you an opportunity meet and train with these people on occasion and maybe one day, we can help you turn into a pro yourself! Luiz Claudio Augusto was born in August 25, 1972 in Rio de Janeiro, Brazil. Luiz started Brazilian Jiu-Jitsu in Rio de Janeiro in 1982, but his competition career did not start until 1987. Although Luiz moved to the United States to receive a better education; he was still young and hungry for more knowledge in Jiu-Jitsu. This is when he decided to go to Los Angeles to train with Grand Master Rickson Gracie. After many years of hard work, he is a 4-stripe black-belt under Rickson Gracie. Raphaella Augusto was born in Rio de Janeiro and came to the United States in 2004 with her husband, Luiz Claudio Augusto, and their two children. She works with many of the LCCT students to help maintain their health and food management, since she is a true believer that you are what you eat. She offers personalized daily/weekly meal plans along with personal training only for LCCT students, and their parents. Raphaella also manages the day to day office tasks, and always maintains a happy and friendly atmosphere for the gym to help keep LCCT a family friendly environment. 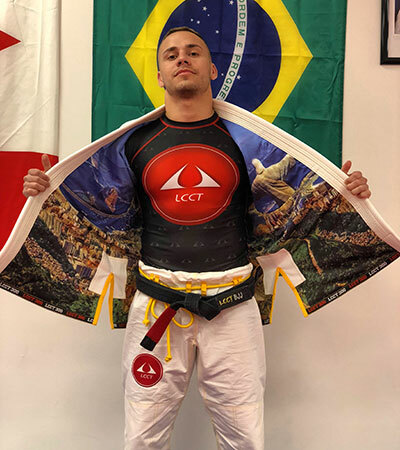 Leonardo Araújo is a 23 year old Brazilian black belt in Jiu-Jitsu; his nickname “Leozin.” He has been training Jiu-Jitsu since he was nine years old. Leonardo Araújo is a 23 year old Brazilian black belt in Jiu-Jitsu; his nickname “Leozin.” He has been training Jiu-Jitsu since he was nine years old. His Masters are Luiz Cláudio (4 stripes, 18 years black belt under Master Rickson Gracie, and 3x world champion) and his brother Thiago Veiga (black belt under Master Rickson Gracie, and 2x world champion). Leonardo has accomplished many things in Brazil and USA. Leonardo teaches Brazilian Jiu Jitsu at LCCT Schaumburg and LCCT Barrington. He trains six days a week two times a day. His desire is to one day became a world champion black belt. This is what motivates him every day. 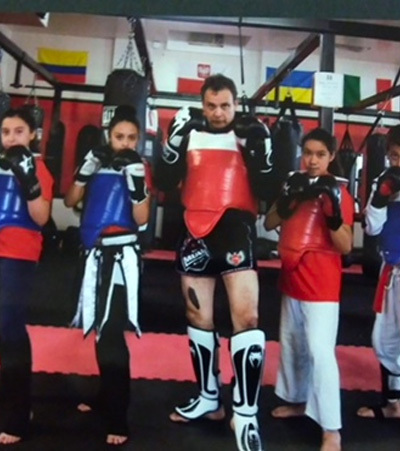 Dr. Gregorio de Jesus Posada currently directs and teaches the LCCT Kickboxing program. Dr. Posada has an extensive background in martial arts. A national martial arts champion in Mexico, he participated in and won martial arts tournaments open to all styles. Dr. Posada has practiced Sang’s Tae Kwon Do, earned his first black belt in Lung Tao Karate in 1985, and he now holds a third degree black belt in that system. He also holds a black belt in Kenpo Karate that was awarded in 1992. He started practicing Muay Thai/Kickboxing in 1990; this year, he was fully recognized as an accredited instructor by the Mexican Federation of Karate. He has earned a purple belt in Jiu Jitsu and a black belt in Shaolin Qi Gong awarded by the 34th Shaolin Monk Master Shi Yan Ju at the Shaolin Temple in Chicago. Prior to joining LCCT, Dr Posada has directed Muay Thai and Yoga for kids programs. 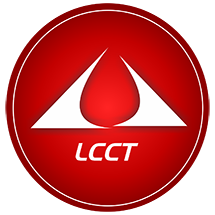 Dr. Posada has helped coach Luiz Claudio Augusto to open the LCCT Kickboxing Academy at LCCT Schaumburg in March 2017. He is currently a staff member at the LCCT Schaumburg Kickboxing Academy. Yousef has been training in Muay Thai and boxing since 2008. Utilizing his high school and college wrestling background, he fought as an amateur and professional mixed martial artist, winning and defending the Fight Card Entertainment (FCE) championship title as well as becoming a Total Fight Challenge (TFC) champion. 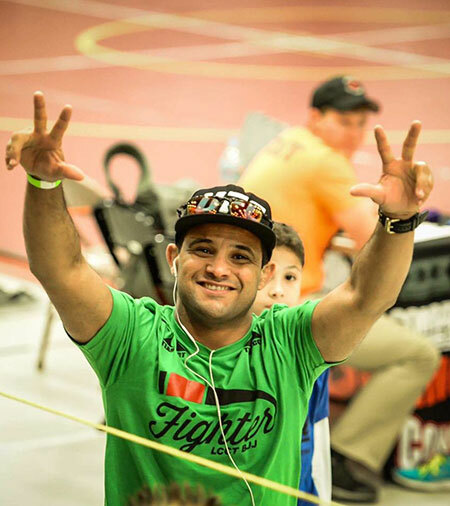 Yousef met Luiz Claudio while competing at XFO in 2014 and has been part of the LCCT family ever since. 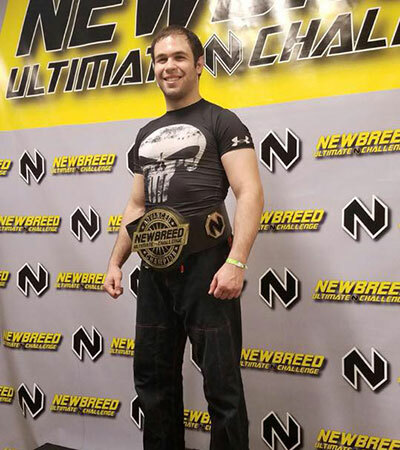 He earned the rank of brown belt in BJJ in 2017 and currently teaches classes in Kickboxing/Muay Thai. I was never an athlete growing up, but always yearned to be. I tried numerous sports and activities throughout high school, but did not find my passion. But when I started CrossFit in 2010 that all changed. It is because of CrossFit that I was able to expand my horizons and discover other passions in the world of fitness. I started by learning Muay Thai and eventually settled on training and studying Brazilian Jiu Jitsu and Yoga. Through this journey, I decided to use my knowledge and passion for fitness to work with others to help them find their passion. 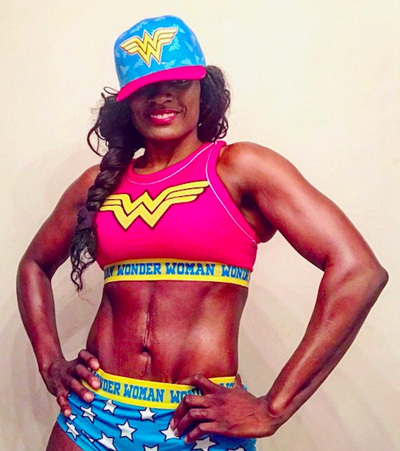 I also use my knowledge to give to others the gifts that fitness has given me: a sense of peace under stress, a sense of community, and a sense of competitiveness and pride. I have also had my own weight loss journey & body transformation along the way that led me to helping others in their fitness journey. I not only coach fitness classes, I am Crossfit coach and a yoga instructor. As a coach/instructor, I hope to inspire and motivate others and help them become better versions of themselves.